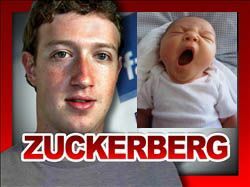 Time Names Facebook Founder Zuckerberg "Person of the Year"
Is Facebook Founder Mark Zuckerberg a good choice for "Person of the Year"? Time Magazine thinks so. I don't. Zuckerman and FB to me are "so last year." I also think that as people are learning how privacy intrusive and commercial FB is, more will reduce their use of it.